Where to enjoy a good espresso or a creamy cappuccino in the modern and shimmering Dubai? Naturally from Golositalia! A corner of Italy where in which take a coffee at the counter before starting the day or enjoying a real Italian breakfast with a freshly baked cornetto. 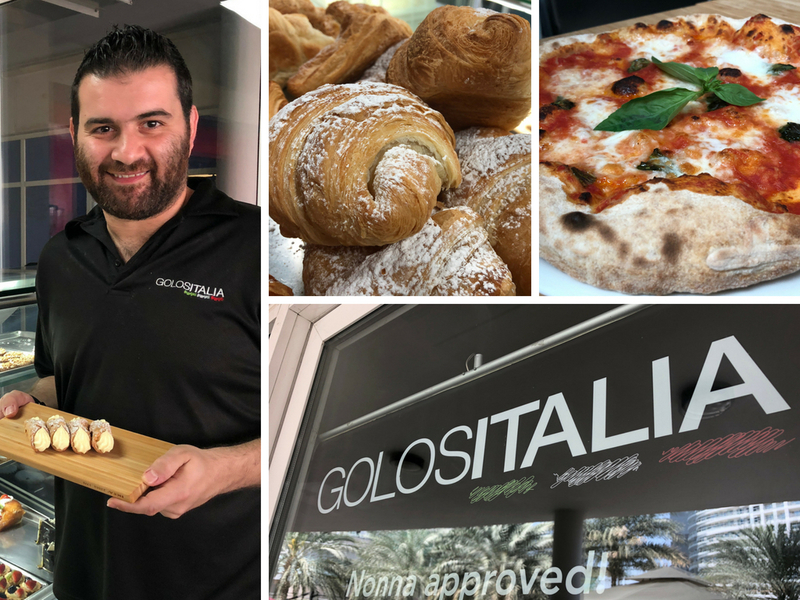 Golositalia in Dubai has become an institution because it serves real Italian coffee, but it is also the ideal place for a lunch break or a snack whit sweet and savoury choice: pizzas, focaccia, pastries and biscuits, strictly homemade . Merit of the passion and initiative of Sebastiano Maio, a Sicilian confectioner who founded Golositalia in 2013, a point of reference for all lovers of true Italian coffee. Golositalia is located at Jumeirah Lake Towers, Cluster C, Dubai.